Circling vultures lead hunting outfitter Allison Coil to an angry man tied to a tree. The man will answer none of Allison's obvious questions. Devo, a frequent ally of Allison's and the leader of a group of scrappy devolutionists, has gone missing. Allison's best friend, Trudy Heath, finds herself intrigued by the overtures of a retired rock star who has put down roots to grow tomatoes. And Trudy's boyfriend, newspaper reporter Duncan Bloom, is tempted by an opportunity to resolve his bleak finances by taking a flyer on Colorado's fastest growing industry, retail marijuana. 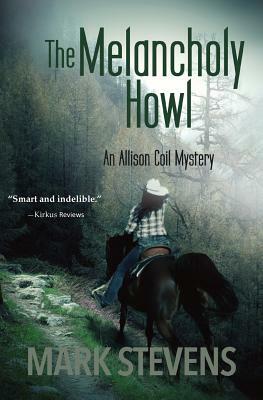 Allison's trail across The Flat Tops Wilderness leads to an airplane wreck, a murder, and a cunning conspiracy. The Melancholy Howl braids interweaving threads of mystery as Allison, Trudy, Duncan, and Devo's followers test the definition of family and the dangerous boundaries of trust.